It was Alex Chervin’s funeral today. 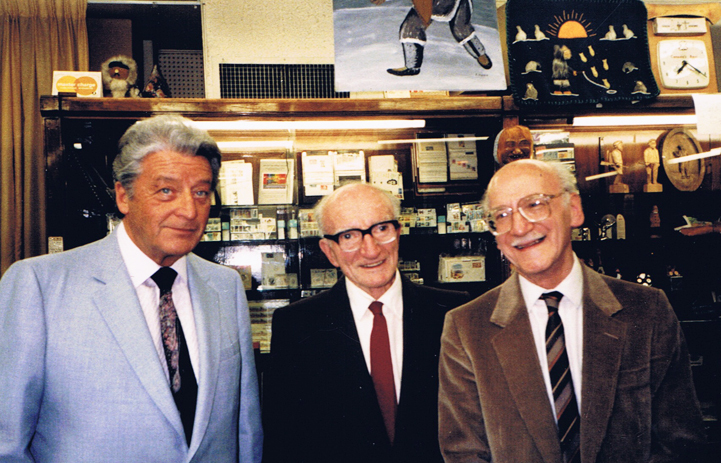 Many of you may not know his name or who he was, but if you read our facebook column today, he had a great influence on Phil Matlin, owner of the Perfect Magic shop, and his interest in magic. This is what Phil had to say about him. “The first magic store I visited, somewhere around 1948, was Cramer’s Magic Shop located on Bleury Street in downtown Montreal. Besides the late Sam Cramer, his brother-in-law was working the shop. I used to stop by a couple of times a week and purchased some items that were being demonstrated, when I was told that I could no longer buy any more magic tricks unless I bought a book and took it home to read. Then, when I returned to the shop I was asked some questions . If I showed that I learned something from the book, he would let me buy a trick. Not necessarily the trick I wanted, but the trick he thought I should have. By the way, the book was Volume 1 of the Tarbell Course, and through a very generous payment plan I acquired all 6 volumes, which was all there were in those days. Many years later, the brother-in-law took over the shop and at one point was forced to move. The shop moved to Guy Street. I was still a frequent visitor and learning a lot about magic. When I told him I was to open a magic shop in Montreal, he encouraged and helped any way he could. I learned a lot of the business side from him and when the building he was in was sold, it was time to close Cramer’s Magic Shop. I was asked to come down and see if I could use any of the display items, like shelves, display cases, etc. They were mine for the taking. He wouldn’t hear of payment. That gentleman’s name – Alexander Chervin. Alex passed this past Sunday away this past Sunday at the age of 101. He died peacefully in his own home. The last time I spoke to him was close to 2 years ago. At the time he told me he was still walking his dog every day. Montreal, the Magic Community and I have lost a true gentleman and friend. RIP Alex. But life goes on. And if it were not for his nurturing and teaching, there probably would not be a Perfect Magic today. We have new people, young and older, coming into the shop all the time. Some of our best friends are magicians and had we not decided to open a shop we probably would not have developed the strong bond we did with George and Nina Schindler, Romaine and Joan, Wym Vermeys and Maryse, Al Cohen, Guy Camirand, Hans Zahn, to name but a few. Strong ties hold the magic community together. It is always fun to be with other magicians and most are willing to share and help each other. I’m sure it will be a joyous gathering this Sunday Evening at the Comedy Nest at the Montreal Forum where Romaine will be performing his world acclaimed act. I’m sure many of us have see him before but will go anyway just to all get together. Also performing are, Marc Trudel, Ted Outerbridge and Ivan Pecel. Maybe more. We will have Alex on our minds, knowing he would have enjoyed the show. When I got back to Montreal, I found there were several clubs. Phil and I joined the Mount Royal Toastmasters Club. They met once a week. When we joined it was at Piazza Tomasso Restaurant, where Magic Tom Auburn was the resident Magician. We were members for years. In 1989 both Phil and I received our Competent Toastmasters Certificates, and later other pins and badges. It was fun, exciting, and we made lots of good friends. We saw people come in who couldn’t put two words together and come out as accomplished and entertaining speakers. I don’t remember much what he said after that. It was years ago, but I do remember that after dinner everyone came over to him and asked if you had to be a magician to buy the lights and what an impression it left. I often have presenters coming in telling me they have to give a speech and what could they do to make it more interesting. One man was a rep. for a fertilizer company. He ended up with the Growing Glove. His line was that he was working with gloves in the garden to test the fertilizer and he accidently got some on his gloves. Another presenter was an engineer. Never did magic before and went out of his mind when I did the Bill Tube for him. He didn’t want to buy it as he said he could never do that. I showed him how it was done and he bought it on the spot. “A room of engineers! Not one of them wil figure it out!” he said with glee. The point is, if you’re a presenter, you don’t have to do a magic show. Just get their attention once and you’ll have them for the rest of the evening. I was asked to speak at a dinner for Hydo Ontario, also many years ago, at their convention. Before I said a word I put my hand around the microphone stand and sparks came flying out. Remember the Funken Ring? I said, “is there an electrician in the house?” Got a great laugh and their attention. It was a terrific evening. Likewise, if you are performing magic, and its a show where speaking is involved, you should know how to speak. If you want to improve go to Toastmasters! 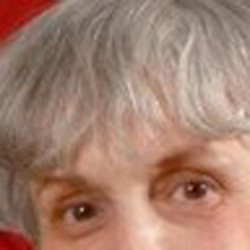 Unfortunately, there is no more W.A.D.E., there is no longer Piassa Tomasso, there is no longer Magic Tom Auburn and there is no Mount Royal Toastmasters Club although there are many others and I’m not sure if there are any more Funken Rings. Things change. The Perfect Gift For The Magician or Clown! Chanukah is long past. Its the Jewish Festival of the Lights. When I was a child we got Chanukah Gelt (Money) but somehow that turned into gifts instead. When my kids and grandkids were little I used to give them 8 little gifts, one for each night of Chanukah. The switch from money to gifts might have come about to counteract Christmas with all the gifts under the tree. Why do I speak about this now? Last week a customer came into my shop and it brought back an incident to my mind. this customer’s brother-in-law came into the shop before Chanukah and asked for a gift for a magician. He had no idea what to get and luckily we knew the customer well so we were able to help him choose, but even with our help, one of the things was not what he wanted. He came back with it still sealed and asked if he could change it, and we said yes. This family has the custom of exchanging gifts, even as adults. They asked him what he wanted and he said Magic, only magic. If its not magic, don’t bother getting me anything. He left very strict instructions, but wanted the surprise of not knowing exactly what. I had suggested a Gift Card and that would have been perfect, but his brother-in-law wanted to hand him an actual present in a box. I think a Gift Card is the best gift you can get a magician. A sweater might be beautiful and so might a scarf, but does a magician dream about them? I doubt it. I would suspect he might be dreaming about, Einstein’s Dream or David Stone’s Tool, or Hofzinser’s Vol. 1 and 2 Non Plus Ultra, Steve Valentine’s 3 Card Routine, The Phantom Deck and the list goes one. He may not buy them on his own because he has a family to feed, a mortage to pay, whatever, but to get a Gift Certificate for Magic is magic. If you, as a magician, went into a magic shop with a 50, 100, 200 dollar Gift Certificate do you think you would have any trouble spending it. I don’t think so. Whether it’s for books, DVD’s or tricks, you’d find a way to spend it and enjoy it.Even if it only partially covered what you wanted, it would help. Same thing goes for clowns. Many clowns put magic in their shows. Or they might want Juggling Equipment or Facepainting Supplies. It’s all here. There’s lots to choose from. A clown was here the other day. She asked what my name was. I said Evelyn and she said, Well, I will call you Devilyn because you are a Devil. You make me buy so much magic every time I come. I twisted her arm of course. And she would like to buy even more but says it will have to wait until next time. Would she love a Gift Card? You bet! So you can print this out and leave it lying around for your family to accidently see and hopefully read and who knows, you may get a Gift Card for Perfect Magic when the occasion arises. P.S. 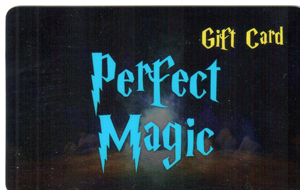 To buy a gift card just phone (1-800-665-3754 for Canada and USA) or email us (perfectmagic@bellnet.ca) . Why did I remember this particular baby? His father brought him in every time he came to the shop. He could never make up his mind what to buy. He would hold up 2 books and say to the baby, who was in the months, “Which one should daddy buy?” and the baby would reach out to one of them and that was the one he bought. Of course he wanted them both but he would wait a while to get the other book. We had a good laugh. So in that long time that I’ve been in magic, hundreds, no thousands of new tricks appear on the market. Some stay on and some disappear. I can usualy figure out how tricks are done, and if not the actual method that is used I can devise a way that it can be done. But once in a while, I see a trick that knocks the socks off me. Not only can’t I figure it out, but I don’t even want to know the secret as it is so magical to me. I’ve mentioned some of them in previous blogs. Now there is a new one out. It is not acually new, but it is a new improved version and I don’t have a clue. I know in part what happens but it still doesn’t explain it. I am bewildered and wish to stay that way. And the word is out as we are getting calls for it and had to reorder a few times already. We’ve just had it a couple of weeks. 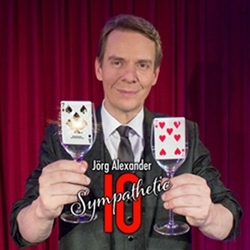 Its called Sympathetic 10 and its by Jörg Alexander. Watch it to the end and enjoy!